Heat oven to 350°F. 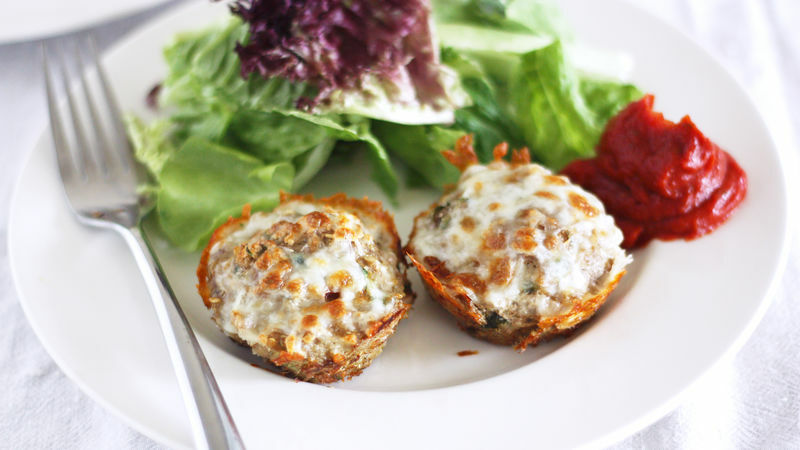 Lightly grease a 12-cup muffin tin and set aside. In a large bowl, combine turkey, quinoa, rolled oats, green onion, egg, parsley, cumin, Italian seasoning, salt, pepper, garlic powder and red pepper flakes. Stir until thoroughly combined. Scoop filling evenly into the bottom of prepared muffin cups. Bake 30 minutes or until meatloaves are baked through; remove from oven and sprinkle tops with cheese. 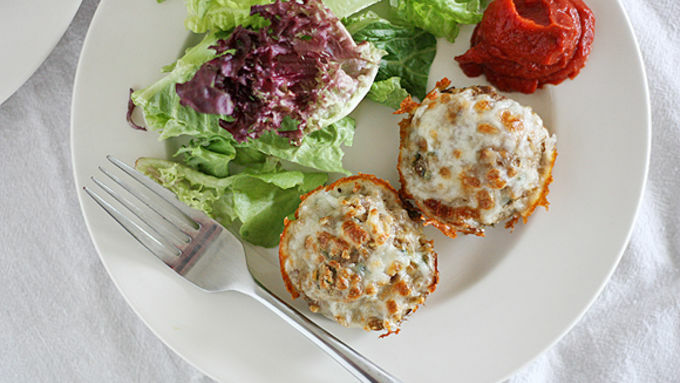 Heat broiler; return muffin tin to oven and broil cheese until bubbly and melted, about 2-3 minutes. 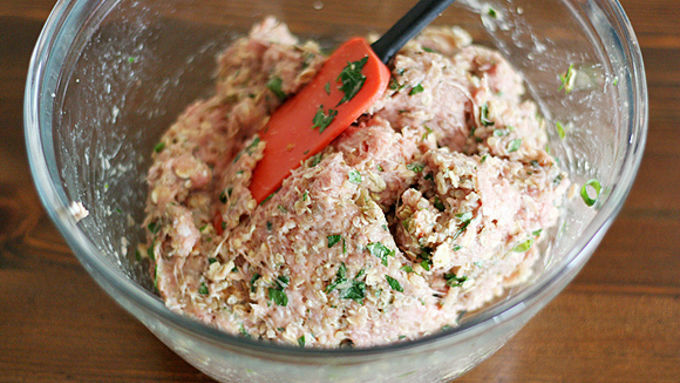 Remove from oven; cool 1-2 minutes before removing meatloaves from tin. Serve with pizza or marinara sauce on the side, if desired. Can we just get one thing out of the way here? Baking meatloaf in muffin cups has changed my LIFE. I’m not joking! It was once was a hassle to put all the filling into one pan and let it bake for what seemed like For. Ev. Er., now we can scoop it into individual forms and bake it in like T-minus a second (OK, plus a few more... but just a few!). Plus, whatever you don’t finish can go into the freezer (though for some reason, baking things in mini form always seems to get more attention in my house). Magic! OK, I’m stepping off my soapbox now and into the kitchen. Why? 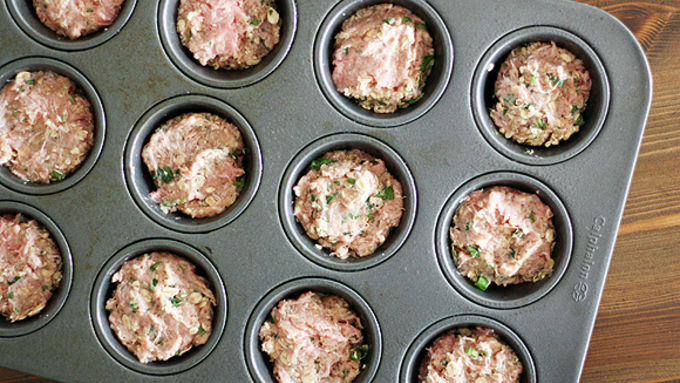 Cuz we gonna use the same magic on these Turkey-Quinoa Cupcakes! Here’s the sitch: These guys are super simple to throw together, scoop into a muffin tin and bake up until they’re nice and meatloafy brown. Oh, then we top them with cheese and broil it to bubbly browned perfection. No bigs. OR TOTAL BIGS. Serve them up with some tangy pizza sauce on the side and commence the devouring. NOM NOM NOM. Sorry, I forgot how to act like a lady there for a second. As I was saying, these are positively scrumptious and NOM NOM NOM. Ah, well. I tried.